My Spring Vacation - going to catch up with Eric Fried in Sweden! Hey, anyone have any places to recommend? Email me! 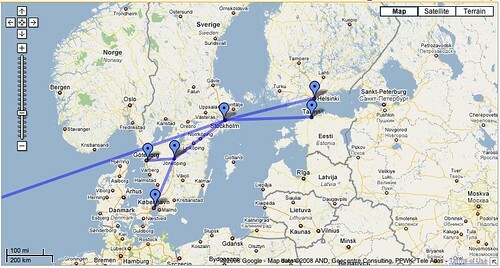 ps: Hitting Stockholm, Helsinki, Tallinn, Copenhagen, etc. 5/20 - Day trips around - Gotenborg, etc. ps: Eric = my old roommate from college (we lived together 3 of 4 years at Syracuse) After graduation, he moved to London and I moved to NYC. We haven't hung out in a while - should be fun!